I LOVE your command center! I love how it's all so put together and the color scheme and just everything! I need to figure out a command center for us. Yours is such an inspiration! I saw this and flipped! I LOVE this Command Center and it's location! I am working on getting all the pieces so that I can set it up for my needs. Love your command center! 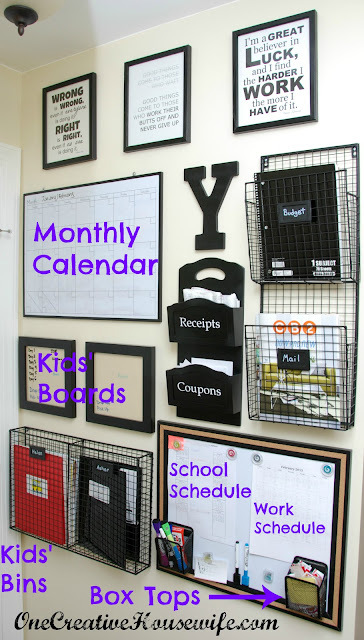 WHERE can I find the wire hanging files? I googled several sites and found several styles, but I like yours best!! I don't have one of these nearby, is there a brand on the baskets? I know it is not likely but I can always hope. I'm sorry there is no brand on the baskets, the tag, or the receipt. Krissy did you ever find the baskets anywhere? This is absolutely awesome! TFS! 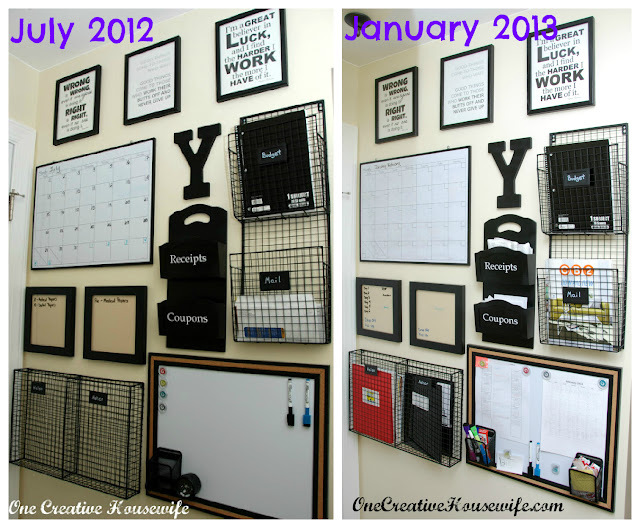 The 2 smaller dry erase boards are actually picture frames from Micheal's Craft Store. I just placed a piece of cardstock behind the glass. I plan to use my cricut to make the "coupons" and "receipts", but if you don't have a cricut, you can always use ABC scrapbook stickers. I plan to also do something with the wall quotes, I haven't quite figured out picmonkey, even with the tutorial. I have an "I did this" board on my pinterest and was sooo excited to be able to pin this one! Thanks Andrea!! I am so grateful that you came up with the command center. 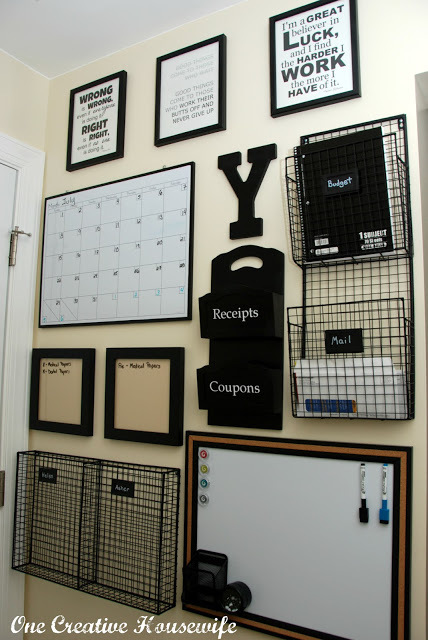 I plan on creating one for my craft space. Yes, I am that crafter that really never finishes the project, so maybe if it is hanging on the wall staring me in the face, i might be more prone to finish the craft project. (sorry for the longest run- on sentence ever). lol....thanks again! Again, Great idea! Could you explain your budget notebook? What is it, exactly, and how does it work? !